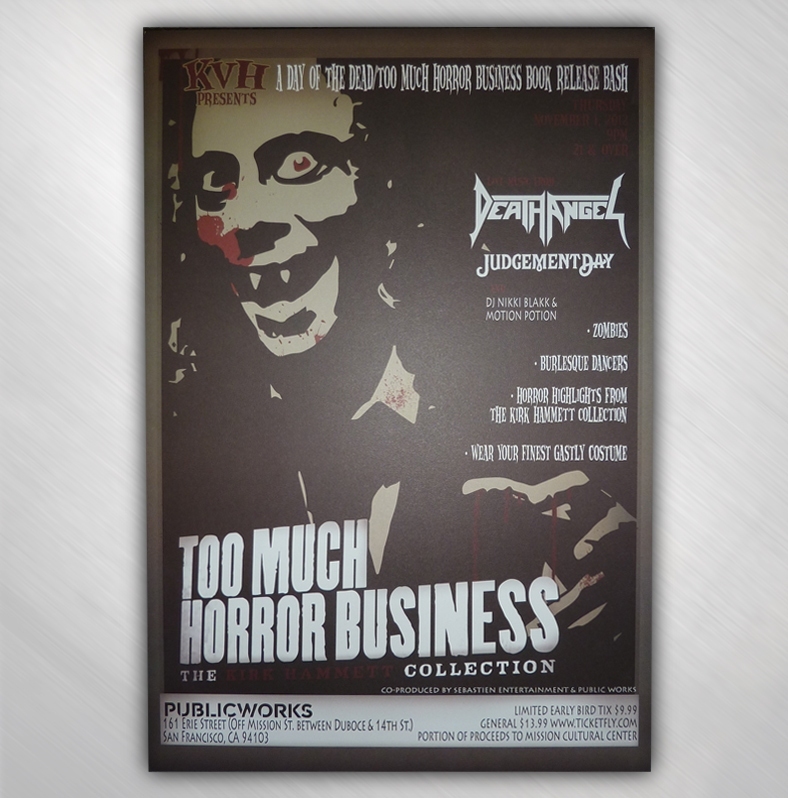 Kirk Von Hammett's - November 1st, 2012 - Day of the Dead/Too Much Horror Business Book Release Bash Poster! 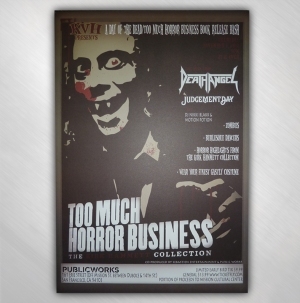 This poster commemorates the event Kirk hosted for his book signing / Costume gala, with Death Angel and Judgement Day playing, November 1st, 2012 in San Francisco, at the Public Works. Poster measures 13" x 19" tall.